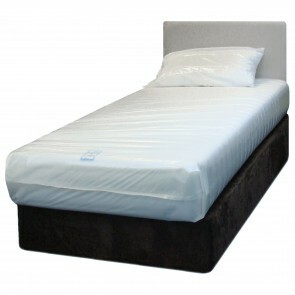 We are proud to stock a range of waterproof bedding products by Eva Dry, a brand that combines outstanding protection with extreme comfort and durability. 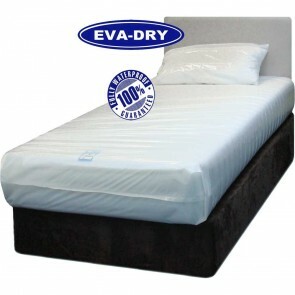 Our range of Eva Dry products offers a selection of specialised incontinence bedding. The selection includes highly absorbent mattress protector covers, duvet cover protectors, waterproof drawsheets and pillow protectors. The products are easy to fit and simple to clean, and all products have been tested and are flame retardant to BS7175 and ISO 12592 standards. Eva Dry waterproof are highly durable and will not harden, crack or discolour. Take a look at our range of Eva Dry products below. With this product, you earn 35 loyalty point(s).